If you are planning your wedding on a budget, there are a few key elements to your planning that you must pay attention to in order to achieve your goal without comprising your wedding's success. Knowing where to save and where to spend is important in pulling off an inexpensive wedding that everyone will enjoy. Here are three basic parts of the wedding planning that can definitely be done for less, without compromising quality and your guests' experience. With so many DIY options and inexpensive templates to choose from, doing your invitations while keeping your budget in check is super easy. As long as they meet the basic criteria of telling everyone when and where the wedding is, you're good to go. Tip: invitation kits are easy, affordable and lots of fun to work with. Get the gang together and have a creative night playing with the invites! if money is tight, there are a few easy ways to get the wedding to look impressive without breaking the bank. For example, rent décor items and set them up yourself. With the help of friends and family, pulling off a beautifully decorated event becomes that much easier and that much cheaper. 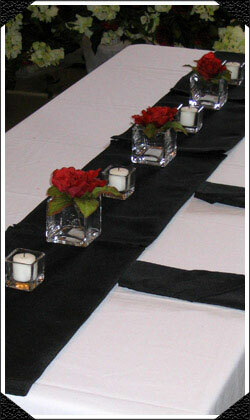 Tip: choose a venue that is already nicely decorated, so that any embellishments you add are bonus, not essential. Yes, of course it is important to look absolutely fab on your wedding day and everyone will remember how you look; BUT you can still find gorgeous gowns for less by choosing either smaller, less-known labels, second hand, or by renting (no one needs to know the dress isn't yours forever). Tip: spend some time in our classifieds section to find new and used gowns for less! 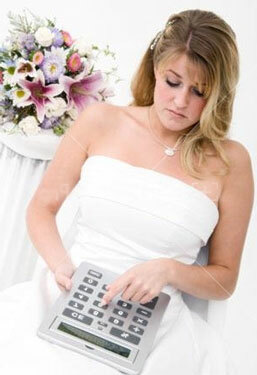 There are some basic elements of the wedding that require your financial commitment. These elements are vital to having a successful event and if you hold back here, your guests will not only remember but they'll rate the day's enjoyment based on them. Make sure you have plenty of good food for all your guests. When you add up the time and money guests put into a wedding and a wedding gift, the entire exercise becomes an expensive outing for them; so treat your guests to a special night out by offering them a wonderful culinary experience to appreciate and remember. 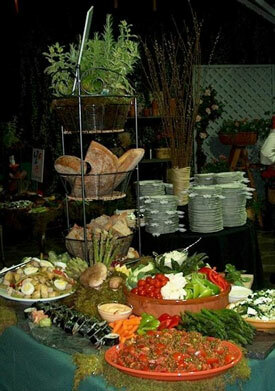 Still, you can save a bit of money, by using food stations. Tip: It is always a good idea to sample the caterer's food in advance. If it doesn't meet your standards, don't serve it to your guests. Good food and good wine go hand in hand. 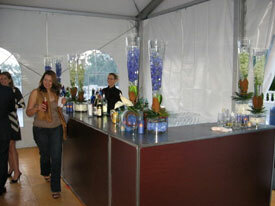 Make sure you have a well stocked bar to accommodate all tastes and don't forget the non drinkers. Give your guests lots of options by offering both alcoholic and non alcoholic beverages. Remember to keep the drinks flowing, responsibly, of course. Should you have an open bar? Tip: add some fun to the evening (and save some money!) by having your bartender come up with some "signature" drinks that are unique to your wedding. Remember, this is a night out for everyone. Treat it as such and make sure you have some great entertainment or fantastic music for all to enjoy. 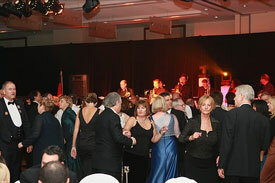 Get them laughing, mingling, and dancing and your wedding will be a huge success! Tip: get the party started early by having some entertainers floating around during the cocktail hour. Cartoonists, for example, are great ice breakers and really get people talking! Pulling together a wedding on a budget takes a little time and creative thinking. In the final analysis, your guests won't be talking about the décor or your gown but they will be talking about how much fun they did or didn't have. Keep that in mind and plan accordingly. Spend the money on items that will make the night memorable and save in the areas that are initially impressive but in the end, forgetful.